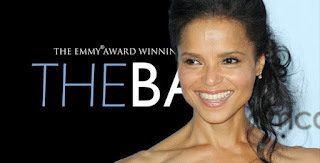 THE BAY The Series Press: SOAP SHOWS: Y&R Alum Victoria Rowell Lands Soapy New Role! SOAP SHOWS: Y&R Alum Victoria Rowell Lands Soapy New Role! Exciting news for The Young and the Restless fans! Victoria Rowell (ex-Drucilla Winters) appears on the upcoming season of The Bay! Read the entire SOAP SHOWS article HERE.